Each star brings unique gifts from the Source of All. At this time of quickening the stars play a precious role in awakening us to a fuller realisation of the love and light that is our essence. As you tune into it, the soul of each of these stars is conscious of you and offers the wisdom of its light and helps you connect more fully with your higher self and your own soul. The Anchoring Starlight talk and inner journey, if you already have access to these. To purchase, use the button on the right. The star communicates welcome, not only a welcome to us who visit in meditation or imagination, but the spirit of welcome for all to all and each to each. The soul of Antares has a profoundly loving generosity towards life in all its forms and manifestations and communicates this to us. The beings for whom Antares is the home star have been great explorers, as if travelling forth on the spirit of welcome, who loved to discover the immense range of lifeforms and ways of living that exist in our Universe. They themselves adopted the kind of physical form that we associate with the praying mantis, a form we find alien but which is highly adaptable to different environments and compatible with very evolved levels of consciousness. It may be that their form with its exoskeleton gave them an intrepidness which we, with a more vulnerable physical form, can learn from, in that the light of the star carries a spirit of adventurousness to us. At this time perhaps the greatest adventures lie within as we discover more of who we are and learn to live more of our inner light. Confronting what we find within ourselves in the spirit of acceptance and welcome can take us the a state of serenity. Currently the beings of Antares are collating all they have discovered and transmitting their understanding to us on the carrier waves of the light of Antares. These understandings of the richness and beauty of life as it manifests in our Universe can help us open to new possibilities previously ignored or concealed or even unavailable in our realty until this point. There is a sense of generous acceptance that can help you find a deeper level of self-acceptance. It is as if the star encourages you to relax into a warmth towards yourself and whoever you might discover yourself to be. This essence can be helpful if your own feelings of serenity are elusive or compromised by difficulties in your life or the life of the world around you. Through this essence the soul of the star will encourage you release the need to hide away in order to find peace. Antares Starlight Essence can have a liberating effect on the second or sacral chakra. The light of the star flows into this energy centre confirming the expression of joy and aliveness. There is a recognition from this star of the life that you are and the rightness of that life expressing itself. Antares is about the 15th brightest star in the sky and between 170 and 620 light years away (calculations of such vast distances are still in their early stages). It is the brightest star in the constellation of Scorpius and one of the biggest stars known, a supergiant with a diameter 400 times that of the Sun and a brilliance nearly 10,000 times as great. It fluctuates in brightness over an approximately five-year cycle and has a much smaller bluer companion orbiting it over 900 years. In the gallery below is a comparison of the Sun (arrowed in the image) to Antares. The star Arcturus is also shown for comparison as is the size of Mars’ orbit (dotted line); here on Earth we would be inside Antares if it took the place of the Sun. In the star field photo Antares is the brightest star, to the lower left. The guide below shows some of the other principal stars in the photo, and below that you can see a constellation map of Scorpius, on a much smaller scale, which shows that Scorpius is indeed one of the constellations that does look like its traditional image. Once it included the stars of Libra which formed its claws, making the resemblance even stronger. In the latitudes of the British Isles (round about 50° North) Antares can be seen best in Summer low in the southern sky. Look for the fishhook pattern of Scorpius with reddish Antares at its heart. Antares is highest in the sky at midnight (midway between sunset and sunrise) about 1 June. It is highest in the sky at around dawn in early March and around sunset in early September. Your chance of seeing this star on any given night increases as you go further south. From about 67 degrees south Antares is circumpolar, meaning that it never sets and is visible every night of the year from Earth’s southernmost regions. Antares indicates the heart of the scorpion. Scorpius itself is seen as the constellation that brought down Orion the giant by nipping his heel. Consequently Orion is placed at the opposite side of the sky for fear of the scorpion’s bite. The star’s name means ‘like Ares’, the Greek god of war, equivalent to the Roman Mars, because of its reddish colour. It is sometimes brighter than Mars, sometimes less bright, so the name Antares also implies ‘competing with Mars’. Other names, such as the Arabic Kalb al Akrab, have indicated the heart of the scorpion, while it was the star’s redness that gave it the name Rohini in India or Gel in Persia. In Mesopotamia about 3000 BCE four stars known as the Royal Stars marked the two equinoxes and two solstices. Later Hebrew mystics also associated each with an archangel. The stars and the angels were seen as watching over humanity. The four are: Aldebaran (Spring Equinox and Archangel Michael) Watcher of the East, Fomalhaut (Winter Solstice and Archangel Gabriel) Watcher of the South, Regulus (Summer Solstice and Archangel Raphael) Watcher of the North and Antares (Autumn Equinox and Archangel Uriel) Watcher of the West. The name Uriel means ‘God is my light’, so the association with such a huge and bright star seems appropriate, especially as some also associate the angel with the colour of rubies. He is often pictured with a flame representing truth and a book for wisdom, which sit comfortably with the essence of this star. However other sources see Uriel as linked to either the south or the north or indeed the east! Another story suggests that Antares was named after the Arab warrior-hero Antar (Antarah ibn Shaddad). He was a son of an African slave woman and an Arab sheikh, and a slave himself until his father called him to battle and he proved himself to be the bravest warrior in Arabia. In Australia the anthropologist Duane Hamacher understands that one Aboriginal tradition relates to Antares. In it a young man called Waiyungari is undergoing an initiation rite that requires him to avoid contact with women. But the two wives of his bother Nepeli feel attracted to him, so they approach his hut magically disguised as emus, making sounds to draw him out. Waiyungari pursues the emus, and the women recover their human form and seduce him. When Nepeli discovers their betrayal, he set fire to the hut where his brother and wives are sleeping. The adulterous trio escapes and, to avoid further punishment, Waiyungari casts a spear into the Milky Way to pull himself and both women up into the sky. In this legend, Waiyungari becomes a bright, pulsating red star; the two women become Tau and Sigma Scorpii, fainter white stars with comparable brightness, flanking him on either side. When Waiyungari’s brightness increases, it signals the beginning of the Aboriginal initiation rites, when young men must refrain from being around women. In Polynesia, Scorpius is often seen as a fishhook. Stories describe it as the magic fishhook used by the god Maui to pull up the land from the ocean floor that became the Hawaiian islands. Some sources see Hawaii as the last remaining landmass of the ancient Lemuria. Thus Antares might be seen a profoundly significant force in saving a precious stage in human consciousness from oblivion. Listen to an inner journey with Sananda introduced by Christopher. Let Antares help you connect with the Source of All in every breath. You can get the Antares: Anchoring Starlight talk and inner journey here. The Anchoring Starlight series of inner journeys and talks are designed to help you connect with the souls of the stars as you receive their gifts of light. Antares helps us to organise our energy in alignment with Divine Will. In this inner journey you connect with the soul of Antares with a specific purpose: bringing the light of the star into the oxygen that you breathe. 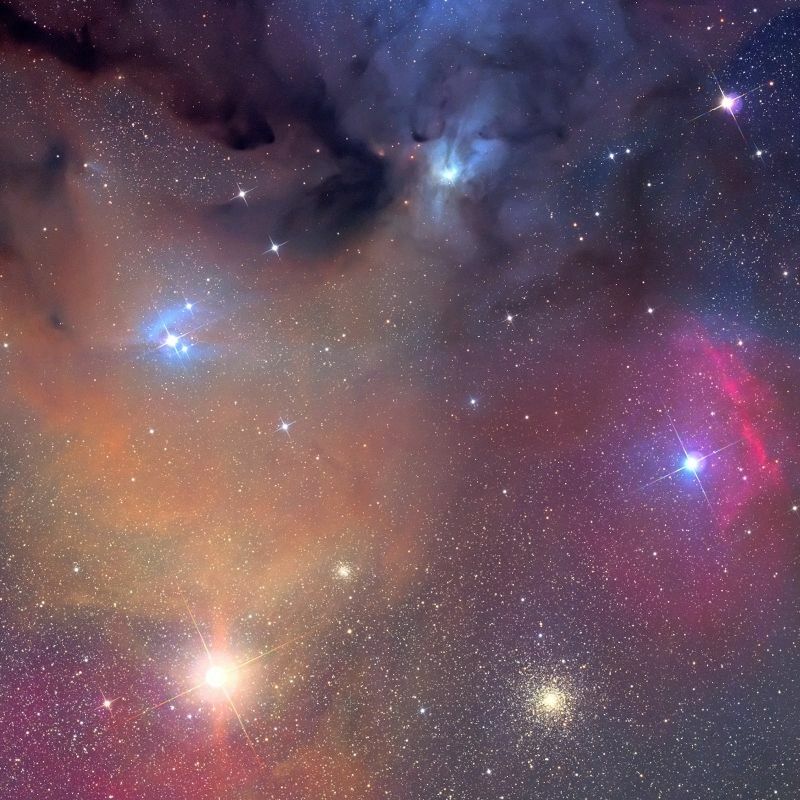 Antares helps ‘remind’ oxygen of its higher purpose, part of which is to help us remember our connection with the Source of All. The light of Antares liberates light within the oxygen atom which we in turn, by taking it through our bodies as the air we breathe, share with the world. Our own process of awakening and enlightenment helps to free light caught up in the physical substance of the earth plane and contributes to development of higher levels of consciousness for all life on Earth.